What is Fire Safety Engineering? Fire Safety Engineers design systems and structures that lie dormant within our built environment, waiting for an extreme event. The knowledge, technology and engineering that contribute to fire safety are fundamental to escaping occupants, the fire and rescue service, and the protection of property. "In Fire Safety Engineering I get to work on a large variety of buildings from the Shard in London, to the BBC HQ in Wales, and even the Sydney Opera House; the tasks vary from developing fire strategies to conducting specific engineering calculations. My job has allowed me to visit all sorts of places, from Sweden to New Zealand!" The building industry is constantly innovating in pursuit of environmental, economic and construction efficiency. It is the role of the fire safety engineer to understand, anticipate and react to these innovations to ensure that disaster is avoided. 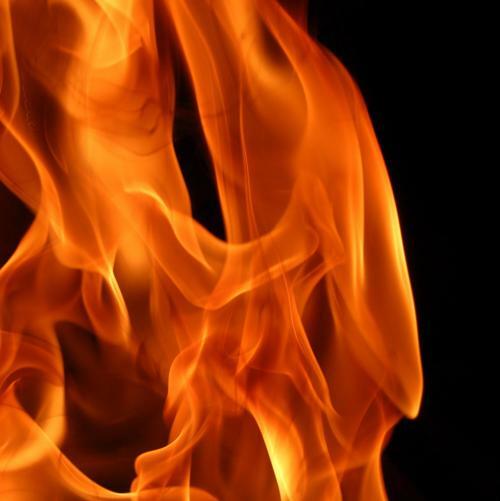 To meet this challenge, fire safety engineers need to be equipped with fundamental knowledge of and experience with fire phenomena, and an understanding of how people, structures, and fire safety systems respond to fire. Fire engineers must be able to combine these diverse fields of knowledge to create infrastructure that is inherently safe, while meeting the needs of clients, architects and fire authorities. A degree in Fire Safety Engineering from Edinburgh University will enable you to develop all the knowledge you need to work in this field. Understanding of fire behaviour. Taught through lectures and hands-on labs in honours years. Understanding of material behaviour, including response to fire. Taught through lectures and labs across all years. Understanding of structural behaviour, including response to fire. Taught through lectures and projects across all years. Experience of experimental fire testing. Taught through hands-on labs and research project in honours years. Experience of computer fire models. Taught through lectures, assignments and research project in honours years. Experience of design projects. Individual and group projects across all years of your degree. The Structural and Fire Safety Engineering (SFSE) BEng or MEng degree shares core subjects with our degrees in Civil Engineering. Pre-honours years are identical with the Civil Engineeering curriculum. Honours years courses include core civil & structural engineering courses, together with a range of specialist courses for Fire Safety Engineers. At the end of your degree you will be qualified to be a civil engineer, a structural engineer, and a fire safety engineer! The programme is accredited as fully satisfying the educational base for a Chartered Engineer (CEng). Our graduates have excellent career prospects and we usually find that almost all of them have offers of jobs in structural or fire safety engineering before they graduate. "I thoroughly enjoyed my degree in Structural with Fire Safety Engineering as it enabled me to learn about a broad range of topics. Since graduating, my degree has opened up an exciting and varied career at AECOM with the opportunity to work as part of both the Structural Engineering and Fire Engineering teams." A one year (three semester) MSc in Structural and Fire Safety Engineering (SAFE) which mirrors our honours courses for undergraduates, with a greater emphasis on research; through literature review assignments, project design assignments and a full time research project in the third semester. A two year (four semester) International Master of Science in Fire Safety Engineering (IMFSE) which is taught jointly with Ghent University in Belgium and Lund University in Sweden. We also have a large and vibrant group of postgraduate researchers from all over the world, studying a range of diverse subjects related to fire safety engineering, from fires in the natural environment to structural performance during fire events. We are always looking for excellent students with first degrees in engineering (civil, structural, mechanical or chemical) or the physical sciences (applied maths, physics or chemistry), please contact us to discuss. Find out more about our research on these web pages. 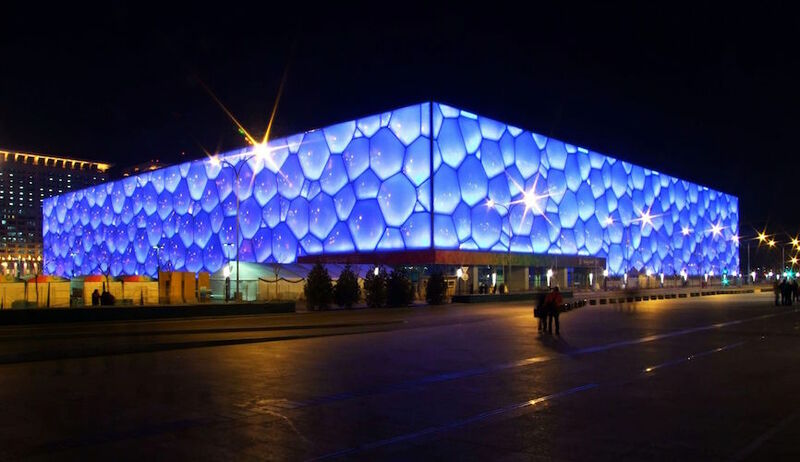 The Water Cube in Beijing was fire engineered by an Edinburgh graduate. Photo Wikipedia.